Bring up the subject of military working dogs (MWDs) with almost anyone, soldier or civilian, and you’ll get a reaction of admiration and affection for these brave, hard-working and loyal animals. If you get to speak with a soldier or veteran about the blessing of being reunited with, and adopting their retired MWD, you’ll know just how much it means to them. 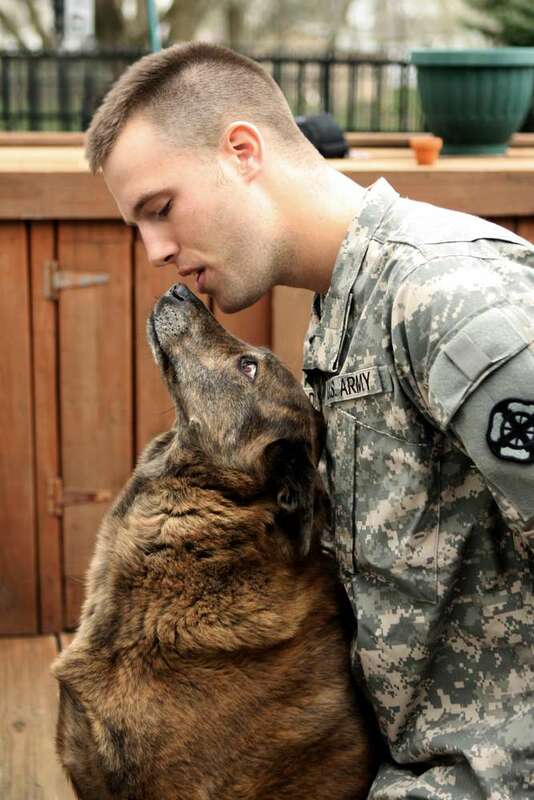 The bond between solider and dog is genuine and strong. 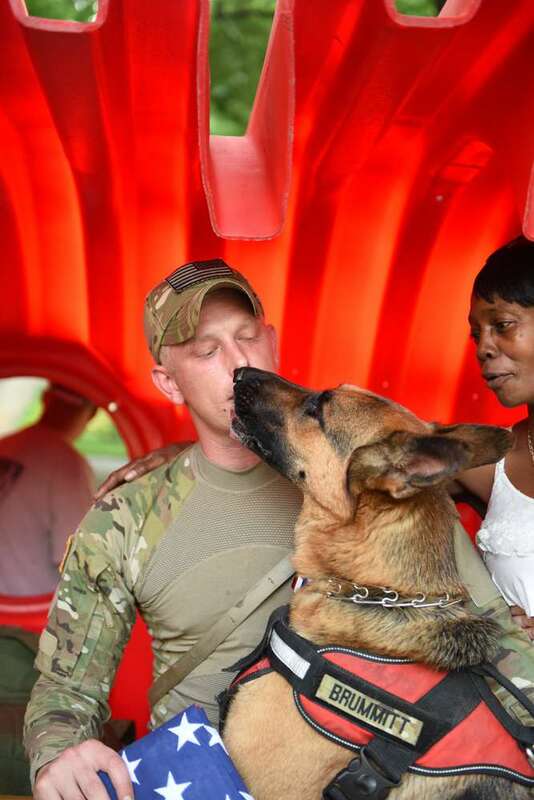 Reuniting military dogs with their handlers is about healing these veterans — both human and canine — and their families. The dogs and their humans provide each other a sense of comfort and safety. It’s about a special kind of companionship and unconditional love that helps soldiers work through their fears as they transition themselves back into everyday civilian life at home. Often the dogs suffer with some form of C-PSTD (canine post-traumatic stress disorder) themselves, and also need support to successfully transition into non-military life. 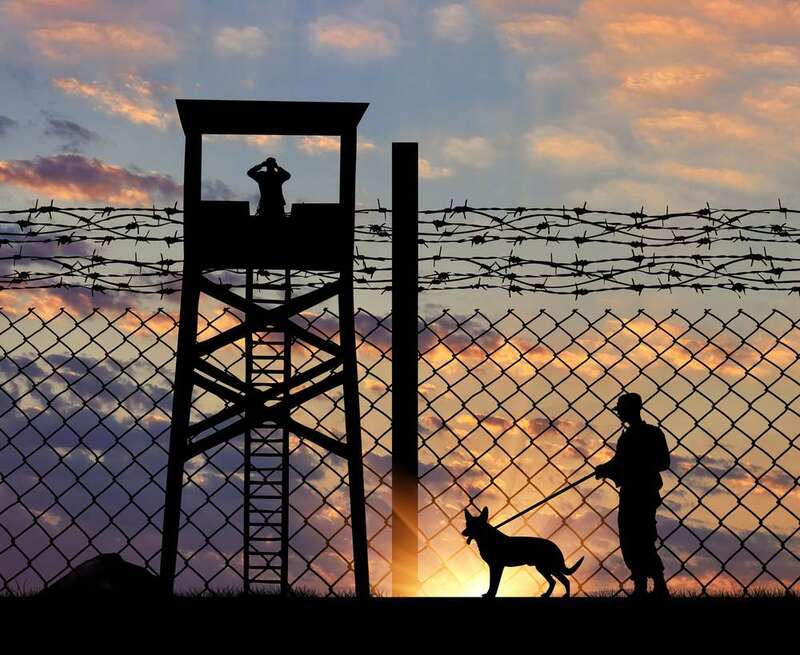 While the human handlers of these retired MWDs have the first right of adoption, there are situations where either tracking down the dog’s handler is a challenge, or the soldier cannot for some reason adopt their dog. In those cases, they go to other loving homes. Willingness to adopt retired MWDs is not a problem; there are plenty of grateful individuals and families available to take them in. Regardless of who adopts these special animals, post-adoption veterinary costs are something the adoptive family must be prepared for. Providing proper care throughout the life of any pet can be costly; this is especially true for dogs who’ve worked in combat zones and have special needs as a result. According to the nonprofit organization, Gizmo’s Gift, “Working dogs are typically only retired for medical reasons. 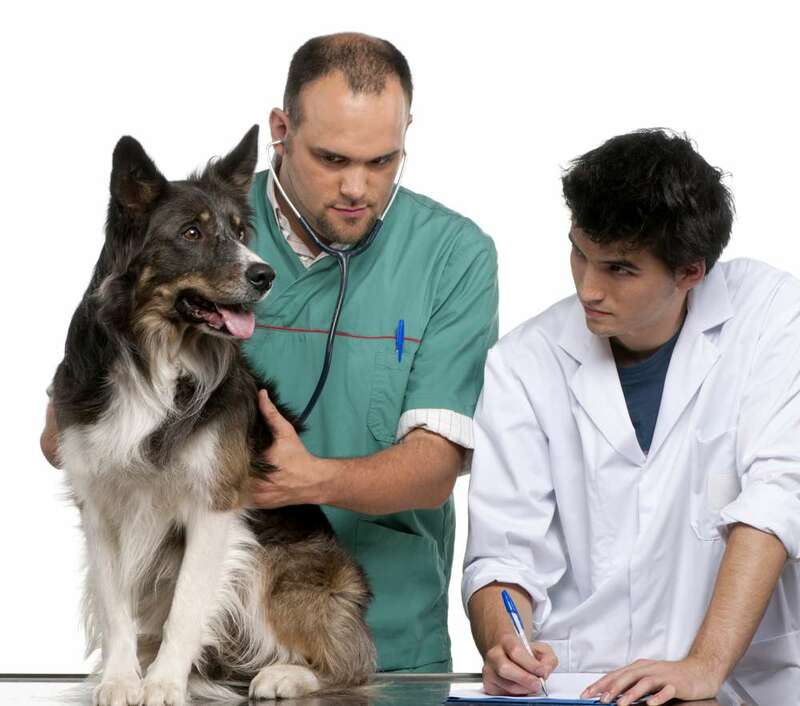 These medical issues range from hip dysplasia, PTSD, severe allergies, cancer, or degenerative myelopathy and require ongoing veterinary care once they have completed their service. The majority of K9s retiring are between the ages of 8 and 12 years old and have various special needs.” Two of the most common breeds of dogs working in the military are German Shepherds and Malinois — both wonderful breeds, but more likely to experience joint and cataracts issues than many others. Each of these ailments, including those mentioned by the Gizmo’s Gift organization can run well into the thousands of dollars in veterinary care. For touching inspiration and photos of these brave dogs and their handlers, check out this wonderful set of pictures from Kael Weston’s book, The Mirror Test: America at War in Iraq and Afghanistan. If you’re looking for financial resources to help pay for veterinary needs beyond what a non-profit or your current bank balance can support, please visit us at www.lendingpoint.com. Let us see how we can help you, and your dog.